Brazilian jiu jitsu (BJJ) is a martial art focusing largely on grappling and ground fighting. It utilizes natural body leverage and proper technique to obtain dominant control on the ground and, as a result, provides greater position for striking or submission holds. BJJ has been proven, when used properly, to be an effective method for dealing with bigger and stronger opponents. You can participate in Gi or No Gi jiu jitsu. Our CrossKick workouts are designed to be a total body workout, and the fastest way to the tight, toned, healthy body. When you are ready to step up and kick some heavy bag, we are ready to show you how. You will be challenged to learn new skills and build strength in every muscle group. During our fitness kickboxing sessions you will gain greater flexibility, coordination and fluidity of movement. The kid's class covers the beginner adult class curriculum in a more fun and kid friendly environment with a focus on defense and position. Your children will learn how to work together as a team, while developing themselves as individuals. They will build on their self esteem and self discipline while learning to respect themselves and others. Turbo step is an energetic, upbeat aerobics class that is sure to get your body moving. A great workout for all fitness levels, this class combines cardiovascular training and toning exercises, for a superior total body workout. Dance cardio is designed to challenge your cardio endurance by using a variety of dance styles with a little bit of kickboxing and core mixed in. All music types are included, no dance experience or rhythm needed! Join Melanie for stretching and healing during the ultimate yoga experience. Offered twice times a week, yoga is beneficial for both physical and mental health. Because there are so many different kinds of yoga practices, it is possible for anyone to start at any level. Yoga can be practiced to enhance overall health, to improve balance, to heal and prevent injuries and to strengthen muscles making it the perfect compliment to our fitness classes. 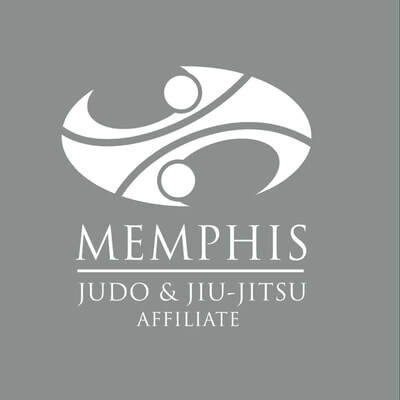 We are an affiliate with the Memphis Judo & Jiu-Jitsu program.